Sometimes it’s the happy accidents in life that are responsible for our greatest joys. An unplanned trip with friends, a spontaneous dance in the street or even an impromptu session in the kitchen. 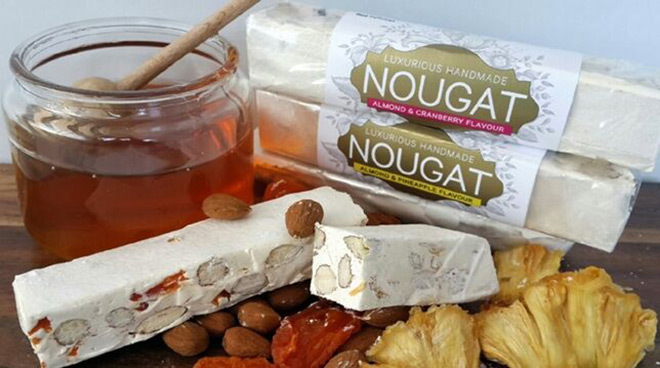 All it took was one rainy afternoon and pleading children to direct Anita Labuschagne into her own kitchen, where she decided to try her hand at her grandma’s tamaletjie recipe – a sweet toffee like concoction well known in Afrikaans and Malay cultures. The rest, well, it’s a Sweet Temptation of course. 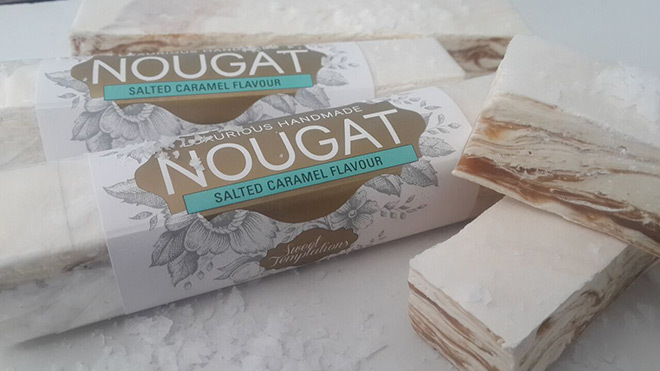 Inspiration is also rich from customers and their interesting requests for flavour combinations, as well as the endless research required to keep up to date with the latest confectionery trends. Diemersfontain Pinotage Toffee anyone? With the ever-changing needs of the public, Anita finds herself navigating the creative journey with pride and an unwavering commitment to always deliver premium quality ingredients and world class service to their valued customers. She keeps her quality to high standards by testing and tasting all that is created, but she jokes that this does results in gaining a few centimetres on the hips. But then each business comes with sacrifices and these are oh-so-sweet. 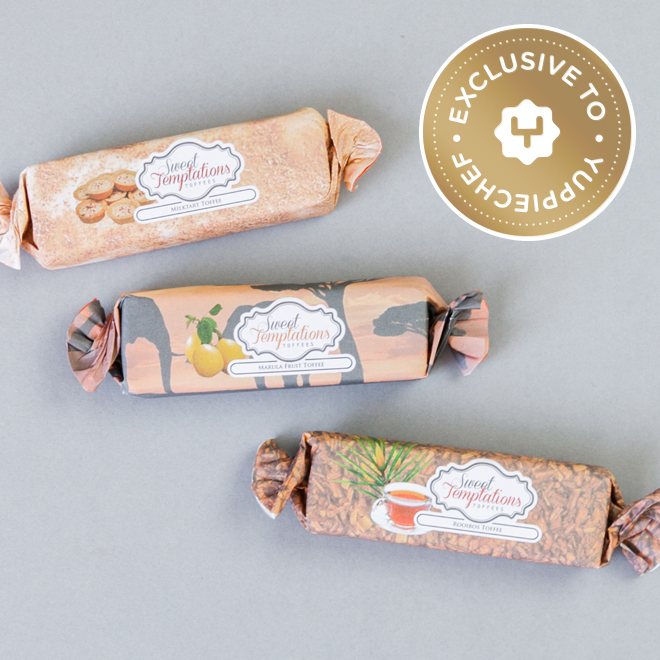 As one of our exclusive birthday partners, Sweet Temptations have created 3 uniquely South African flavours only available on Yuppiechef.com. Can you resist a little rare and sweet temptation? We didn’t think so.